Hey it’s me again! I know, right? I’ve been seriously neglecting this space… Bare with me! I’m still figuring out how to juggle it all with the new little guy (who is awesome by the way). I promise to be more consistent with posting — and soon!!! 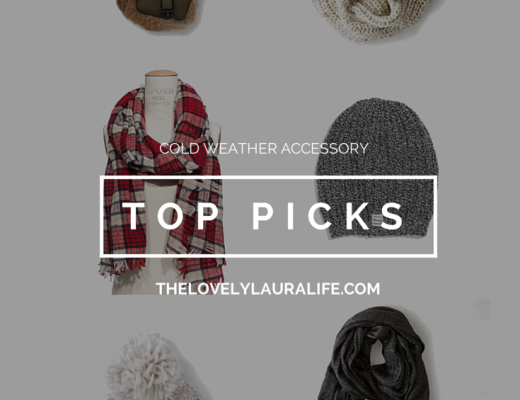 So after posting my first all seasons capsule wardrobe early last week, I received several requests for a post on how to thrift for quality pieces. 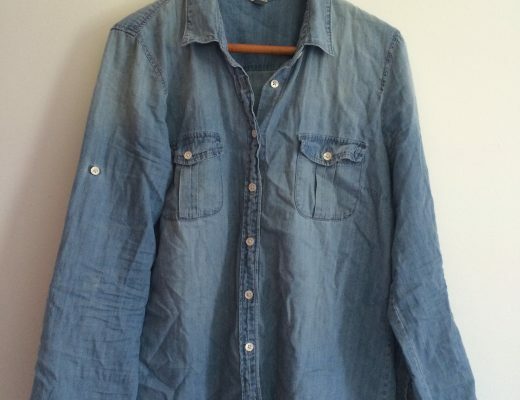 Or in other words: how in the heck did you get that $78 JCrew chambray top for $10.50?!? But for sanity’s sake? I’m breaking it up into a short mini series (ooo that makes it sound like a killer special on TV!) — beginning with this post. I’m not quite sure how many posts it will be just quite yet, but I expect at least three. Above are six pieces in my closet that I was able to score by thrifting. I can honestly say that there was/is no room in my clothing budget to have bought these pieces full price from their retailers — despite their quality and timeless (for the most part) nature. But with a little time, a lot of patience, some scouring of eBay, a few second hand store trips and a whole lot of self control — I managed to find and purchase these 6 great pieces. 3. Brands you love. Maybe I’m just more of a sucker than I’d like to think when it comes to brand loyalty (as a marketer I like to think that I could never fall for marketing ploys…) but I really do find myself becoming partial to certain brands for both style and business practices. Besides, have you ever walked into a Goodwill and been oddly attracted to everything Forever21? No, just me? Well let me tell you, developing an eye for a particular brand makes thrifting in second hand stores a breeze. And on places like eBay? That much more targeted. 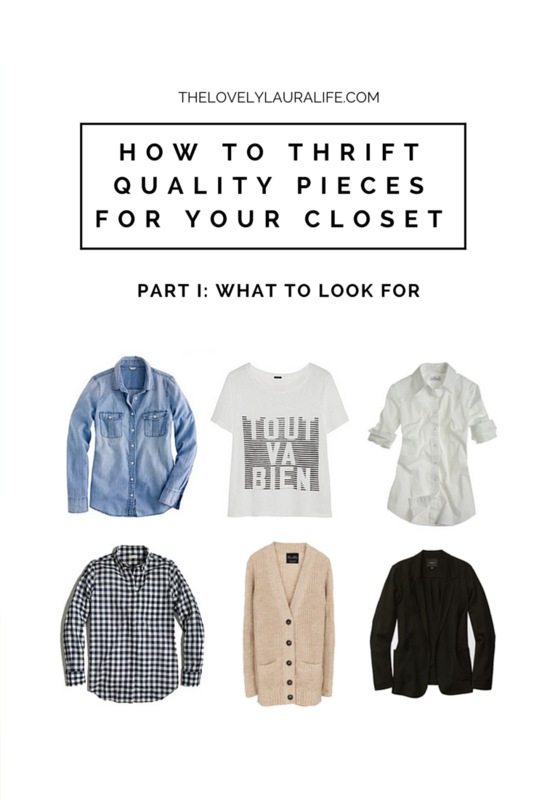 Up next in this series will be How to Thrift Quality Pieces for your Closet, Part II: Where to Look. Do you have any successful thrifting tips to offer? Let’s hear’em! Well then, we’d either be each other’s best friend or worst enemy in a thrift store. Haha! Such good advice! My mom is excellent at thrifting clothing, me on the other hand, I can never find what I’m looking for! I’m looking forward to part 2, hopefully it will help me figure out what I’m doing wrong! I love this! 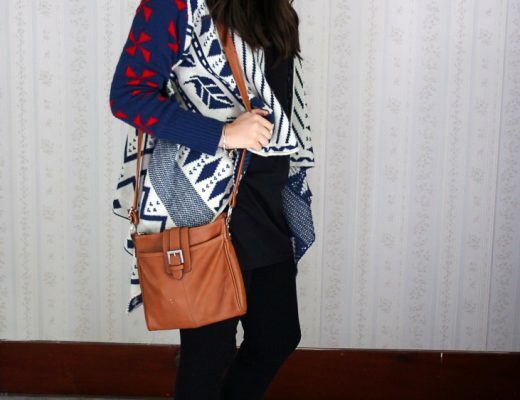 I have been working on a thrifting tips piece too, I guess great minds think alike! 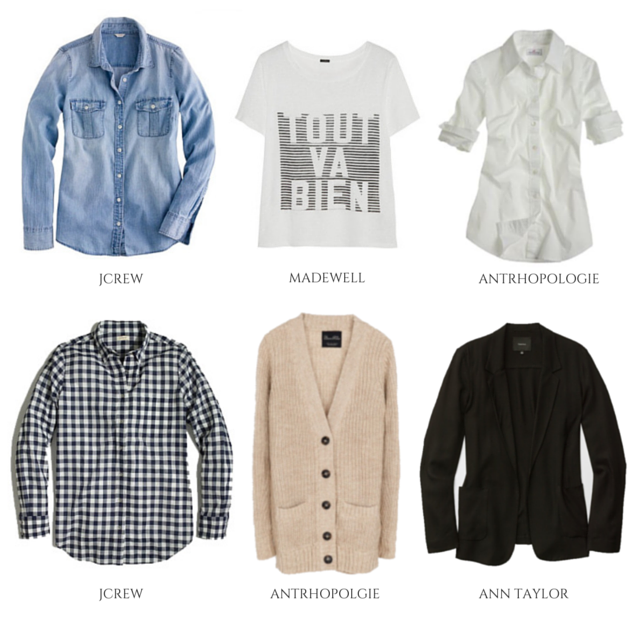 ;) it’s funny i never knew “how” to thrift well until I started working out of a capsule wardrobe! Oh this is such a helpful series! I’m in exactly the same boat as you! Trying to create a high quality capsule on a very limited budget. Most of my pieces from this fall’s capsule are thrifted and consigned, but I still love hearing how other people do it!